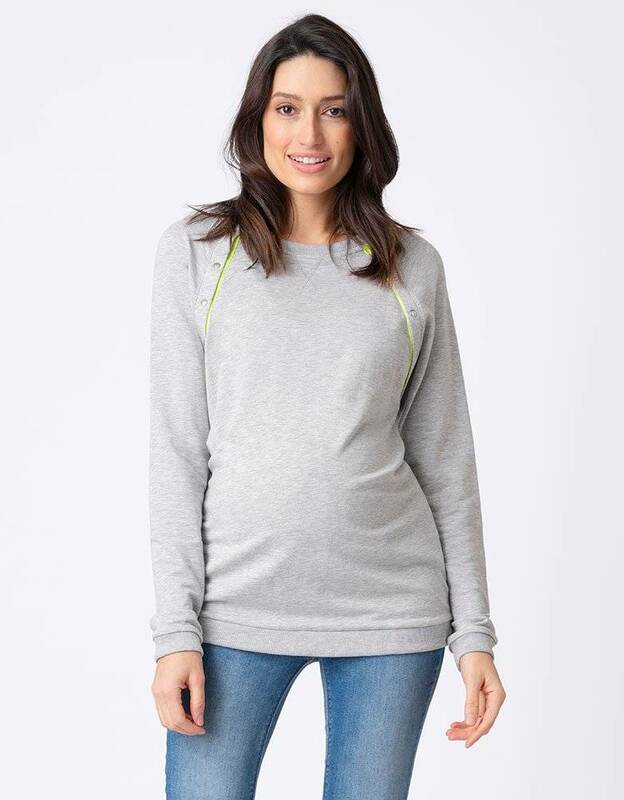 Cut long with plenty of stretch, this chic grey marl sweater will keep you covered through every stage of pregnancy & makes a seamless transition to your nursing clothes collection afterwards. Revealing a flirty flash of neon at the shoulders, discreet poppers open up to provide easy access for breastfeeding after baby is born. The ultimate in low key luxe, team this comfy sweater with your favourite skinny jeans and slip-ons.